In an exploratory essay, learners delve deeply into one particular subject by examining it from multiple points-of-view. Students then recap what they have learned from their research and provide their own insight when they write their final documents. Many professors assign exploratory essays because these types of reports not only allow students to have the opportunity to explore a subject in great depth, but they also give students a forum with which to express their ideas and opinions about that subject. An exploratory essay is a common writing assignment for lower level students because it also helps students to refine their writing skills. When a student is assigned an exploratory essay assignment, the first thing that he/she should do is learn as much as he/she can about the particular assignment requirements. These requirements may include page counts, required resources, and even a topic. However, many learners will be able to come up with their own topics for their exploratory essays. When students are able to select their own exploratory essay topics, they should choose a topic that interests them the most. The topic should, however, relate to the course that the student is enrolled in so that the assignment more closely matches the subject he/she is studying. Many students can ask professors for topic ideas if they feel stuck. Once a student has a topic, he/she should begin his/her research into the topic. Research may require a variety of different methods in order to be complete. Students may benefit by developing a research plan in order to ensure that they address each aspect of the data in depth. It is also important for students to develop an exploratory essay outline before they write the first draft of the exploratory essays. The outline will provide the content and the format for the exploratory essay, which will make it easier for the student to write. It is important to note that an exploratory report is different than many other types of academic writing assignments. When students research and write exploratory essays, they're able to provide their point-of-view on a particular subject that they have researched in depth. However, many other writing assignments require learners to be objective and neutral by simply regurgitating information that they learned through their research. When learning how to write an exploratory essay, you start writing without a particular ending in mind. 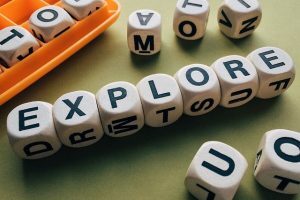 An exploratory essay can be about anything; it can also start out being about one topic, but change to cover a range of topics and end up talking about something entirely different. The point of completing an exploratory essay is to get a clearer sense of what kind of thoughts you have about a topic, or to come up with new ideas by letting your mind range over various topics. This is similar to the ordinary process of thinking that people go through all the time, except with an exploratory essay you're writing everything pertinent down so that you don't forget it. In addition to that, having an exploratory essay completed allows you to look back at your own thought process later. This can help you see what kind of influences you had on your thinking at that point in the past, and give you some perspective on how you think about things in general—what you like or dislike, what the positive and negative aspects of your thinking might be, etc. Essentially, exploratory essays allow you to figure things out through the process of writing. There are various strategies that you can employ in order to develop an exploratory essay; one of them is to present one idea that you have had, and then present a counter-idea which disagrees which it. Think about the ways in which the two ideas disagree and outline them. Try to think of all the ways that you can compare and contrast your topics. This kind of exploratory essay can meander somewhat, as your line of thinking may not be particularly straightforward and you may jump from aspect to aspect of your topic haphazardly. If you're completing an exploratory essay for the purpose of having other people read about your thoughts, it may be better for you to devise some kind of structure for the document in advance. An exploratory essay doesn't only have to be about ideas that you have just come up with during the process of writing; it can also be a kind of retrospective review of thoughts that you have had in the past. For this kind of exploratory essay, you can start out with your first experiences having to do with the topic of your work, then progress chronologically through your life to all the times that your opinion on the topic has changed and explain why you think your thinking changed. This is a great way to give the reader a sense of what the topic is really about by hinting at what kind of person you are. By having your description of the topic as well as your self-description, the reader can perform a kind of triangulation to get an idea of the overall reality being described. Follow rules of good style and be clear in your thoughts and your exploratory essay will achieve these goals. Both cluster and factor analysis, do not differentiate dependent and independent variables. Cluster analysis appears to be the counter factor analysis. Methods for confirmatory cluster analysis are not available in standard software. SPSS offers only a rudimentary confirmatory analysis. All starting values have to be fixed or freed for estimation. Linear or non-linear restrictions or fixing some parameters is not possible. The validity of the conclusions drawn from cluster analysis techniques is sometimes questioned since very different clusters can be formed from the same data depending on how the analysis is performed. This apparent ambiguity results from the decisions made by researchers prior to the actual analysis. What would happen if the drinking age were raised in the military? George Will once said, "Sensible politics begins with epistemological modesty about what one can know about a complicated society" (2011). One can certainly argue that sensible journalism begins in much the same way. The writer, the researcher, the journalist, must acknowledge that there are certain limits to what he/she can about his/her subject matter or to the extent to which he/she can answer certain inquires relating to the nature of the human condition. Islam then borrowed heavily from the cultures that preceded it. Ahmed uses primary and secondary sources to substantiate the claims, weaving those claims together to form a complex but accessible discursive tapestry. Ahmed is generally successful in Women and Gender in Islam. She fails to mention a few details related to gender in Mediterranean Islamic societies. For example, Berkey points out that female circumcision is a core component of any discourse on the gender in Islam but that a "silence affects the scholarly discussion of ritual female excision," (p. 19).